The whole world celebrates International Women’s Day (IWD) on March 8. This is to highlight the economic, political and social achievements of women. The first International Women’s Day was observed in 1911 (Next year 2011, will be observed as a completion of 100 years). United Nations (U.N) designated the year 1975 as ‘International Women’s Year’. 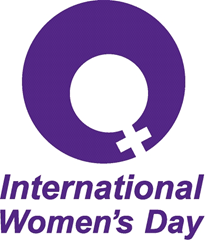 This year the theme of IWD is Equal rights, equal opportunities – Progress for all. IWD is also observed as an official holiday in China, Armenia, Russia, Azerbaijan, Belarus, Bulgaria, Kazakhstan, Kyrgyzstan, Macedonia, Moldova, Mongolia, Tajikistan, Ukraine, Uzbekistan and Vietnam. For more details, log on to International Women’s Day.